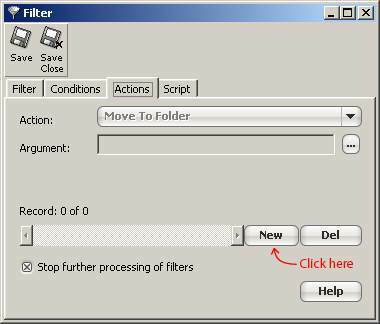 To creating a user defined filter in i.Scribe or InScribe start with clicking Filters -> New Filter in the main window's menubar. 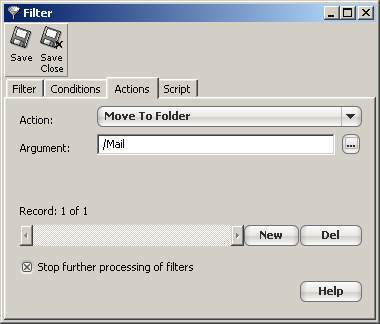 Give the filter a name, and then click on the Conditions tab. The bar at the top labelled "Legend:" just describes what all the buttons on the bars do. And then select "From" in the menu. And select "Contains" from the menu. So thats the condition completed. 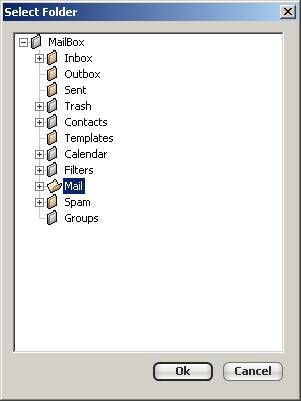 Select the folder you want the mail to go to and click "Ok". 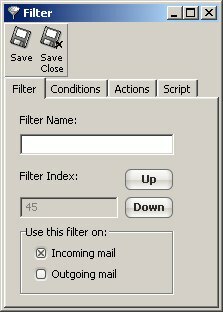 If you want to run more than one action for a given filter, just click "New" again and setup a 2nd action. If you have more than one action, you can navigate the actions with the scrollbar. Now all thats left to do is click the "Save and Close" button and your done.